Online & In Store: Visit this page at Shoe Carnival store online, they post all their newest printable coupons, deals & codes for discounts. 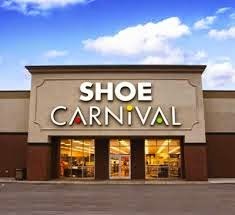 If you want future coupons for shoe carnival stores simply join their email at the bottom of their homepage and they will send you a printable and online coupons when available. In Store: Get a $5 discount when you spend $$40+ at Shoe Carnival shoe stores. Get a $5 discount on purchases made in store over $30. Spend over $60 in store and get $10 off. Take an additional 30% off the lowest sale price (before shipping and taxes). Valid Online and In Store. - Save $10 off your $60 purchases..
Print out the whole email for a 20% discount storewide. Save $20 on your $100+ purchase in store. This is in addition to their buy one get one 50% off promotion. Save $15 on your purchase of $74.98 or more in store. Shoe Carnival offers accessories, and sport's shoes, women's shoes, men's shoes, dressy, casual, and athletic shoes.